Originally Warren Wood Paintball, this site is now owned and operated by RW Paintball. 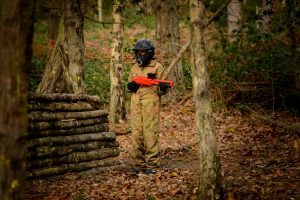 Our site is based between Hatfield and Cheshunt, at Newgate Street Village, and offers paintball and kids paintballing for Hatfield, Cheshunt and surrounding areas. 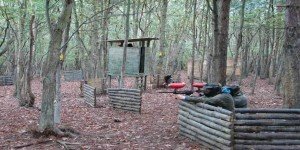 This site is easy to get to if you are looking for paintball in North London. Originally set up by pro players, every paintball zone has been carefully thought out to make an amazing day. Set across an enormous 65 acre woodland site. You’ll have the opportunity to play in a whole host of paintball play zones. Zones include the amazing Hamburger Hill, Fort Ranger, The Village, Snake Field, Tournament Training Field and Bridge Attack. Regardless of how many times you return, there will almost certainly be a paintball game or field you haven’t played before. Adult paintball is available in half or full day sessions. You can find costs by clicking here. Since taking over the running of this site from Warren Wood Paintball, RW have introduced the childrens low impact paintball game. Set over a 2hr session, this game is perfect for 8-11 year olds. Offering a low impact alternative to the adult game. Your younger children will feel like they are playing adult paintball but in a more controlled safer environment. We need minimum group numbers of 10 players. This game costs just £25 per player with all equipment and paintballs supplied. You can find more info on childrens paintball here. Get in touch for more information and availability. Easy to find and with easy travel from Hatfield, St Albans, Hoddesdon, Cheshunt. Welwyn Garden City, Stevenage and Boreham Wood. Our Hatfield Paintball site is based at Newgate Street Village.